Hoarding is the accumulation of objects to the degree that it prevents the use of living space as it was originally intended. A mild hoarding problem may involve only minor inconveniences but in more severe cases the clutter may completely cover counters, stovetops, tables, chairs, sofas, beds and so on. Stuff can easily fill sinks and bathtubs and may also cover the floor so that it is impossible to move around the home without stepping on things. Only a small portion of the objects hoarded ever get used. In addition, these possessions are usually very disorganized, making it difficult to locate something when it is needed. Some of the items commonly hoarded are newspapers, magazines, books, common household objects, clothing, craft supplies, mechanical parts, electronics, furniture, and sentimental items. 1. What are some of the early signs of hoarding? Hoarding is a problem that tends to increase with severity over time, but some of the warning signs are accumulating objects that most people would consider useless, a reluctance to part with possessions that have outlived their usefulness, and/or anxiety about someone touching or removing possessions. 2. What are some of the reasons why people start to hoard? In addition, acquiring new objects may be pleasurable or exciting and may be an escape from uncomfortable thoughts. 3. How do you know when to get help? It is time to seek professional help if you have tried self-help techniques without much success; if other mental health problems such as excessive anxiety or depression get in the way; if you feel stuck, overwhelmed, or hopeless; or if you don’t know where to start or what strategy to use. A professional can provide a much needed objective view of the situation that is difficult for a friend or family member to attain. 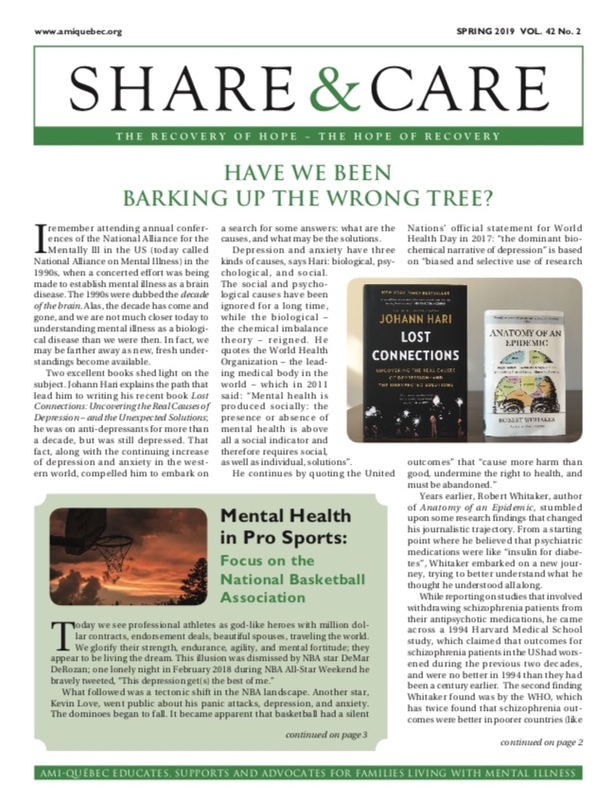 A professional can also help with motivation and can provide understanding, compassion, support and encouragement that can greatly increase the rate of recovery. 4. Do hoarders realize that they are hoarding? Many people with hoarding problems are well aware that they are accumulating excessive amounts of possessions in their homes but are unable to change their behaviour. As a result they may suffer from intense anxiety or shame or may fall into a depression. Others may not be aware of how serious the problem is and may deny or minimize the problem. It is important for family members to understand that this denial is common and is a part of the distorted thinking involved with this disorder. 5. Tell us about some of the treatments that can lead to recovery. One strategy that is definitely not recommended is a cleanout of the home by a person other than the one with the hoarding problem, even if the hoarder is willing. This process does not address the problematic thinking and behaviour involved in hoarding. It is important that the person with the hoarding problem makes changes in thoughts, feelings, and actions towards possessions in order to prevent the problem from starting up again. 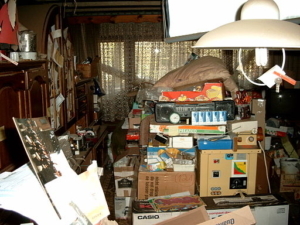 Family members are often tempted to remove possessions without the knowledge or consent of the hoarder, but if the hoarder suspects that this is happening he/she may feel violated and threatened and is likely to feel an increased need to control his/her possessions. In addition, resentment, distrust, and anger towards the family members may result. The treatment that has shown the most success with hoarding is cognitive behavioural therapy (CBT). This treatment addresses the problematic thinking involved in hoarding, and teaches how to sort and let go of possessions, think more clearly about possessions, and control urges to acquire. A helpful book about hoarding is “Buried in Treasures” by David F. Tolin, Randy O. Frost, and Gail Steketee. This book explains what hoarding is, how someone may end up with a hoarding problem, and includes a self-help program that may help those who have a relatively mild hoarding problem. It also contains advice for friends and family members on how to best help someone with a hoarding problem. This book is available for members from the AMI-Quebec library. There is also a therapist’s treatment manual that goes with this book. A new book on hoarding is now available in French: “Entre monts et merveilles: Comment reconnaître et surmonter l’accumulation compulsive” by Kieron O’Connor, Marie-Ève St-Pierre-Delorme, and Natalia Koszegi. The ideal treatment for hoarding is CBT with a therapist who has experience in treating hoarding, but since such therapists may be difficult to find, a good second option is a CBT therapist who is willing to read a treatment manual available for hoarding and to follow that treatment program. In Montreal there is a free treatment program available for hoarding from the Fernand Seguin Center under their OCD research program. Professional organizers can be helpful, but since they are not mental health professionals they are not likely to be able to provide as complete a treatment as a CBT therapist. Click HERE for resources that can help.